When it comes to food preservation, canning wins. It is one of the safest methods for preserving food if practiced properly. These days, it is especially regaining popularity as food prices are soaring and there is more attention toward prepping. Before we move further, there are a few things you must comprehend. and pressure cooking canning. Both of them are eco-friendly, save money, and protect your food. They even keep your food fresher and taste better than commercially canned foods. Water Bath Canning: Only high-acid foods, like fruits, fruit juices, jam, jellies, pickles, and sauces, can be preserved by water bath canning. 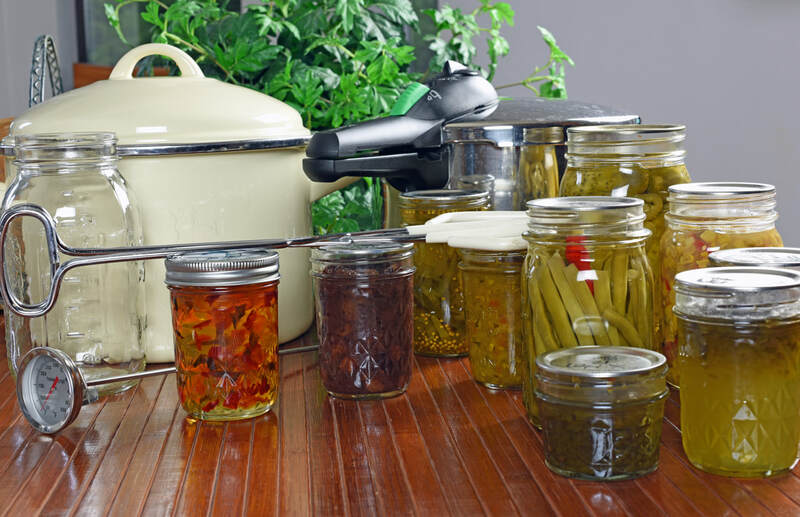 For this canning, you need to gather supplies like water bath canner, canning jars, lids, jar lifter, and etc. In this canning, after rinsing jars with soapy, hot water, dry them well, and fill them with food. Next, apply the lids and rings and lower jars into the boiling water for 10 minutes. Now, remove the jars in their rack and let them cool for 12 – 14 hours. After cooling period, test the seal. If there isn’t any leak, congratulation! You have done your first canning. That’s how you do water bath canning for long term storage. It is 100% safe & effective. Pressure Cooking Canning: This canning art is for preserving meat and vegetables. But, for this canning process, you need to get pressure canners. Bear in mind, they aren’t same as pressure cookers. They are large and designed for canning jars only. The idea behind this pressure canner is to achieve stable temperature and pressure. It also eliminates the risk of spoilage caused by bacteria. The entire process is almost same as water bath canning. However, after rinsing the jars with hot water and filling them with prepared food, place them in canner until canner is full. Fill canner with 2-3 inches of water, lock its lid, and adjust heat to medium high. Once there is steady stream of steam, vent it for 10 minutes. Next, close the vent to maintain recommended pressure. After that, remove the pressure canner from the heat and let it cool. Remove jars, check lids for seal… They can be stored in a dry, cool place for 1 year. Always use high-quality and disease free foods. Wash the lids, seals, and jars properly in hot water. Prepare fruits and vegetables by washing them well. Fill clean, hot jars with hot food. Can them as soon as possible and protect from sunlight, heat, and air. Remove air bubbles from filled jars. Before opening the cans, watch for rust, dents, and leaks. If the can is damaged, it means food in the can is not safe to consume. Use the product immediately after opening the can. You can store it in the refrigerator again to retain its taste & quality. Store jars in a cool, dark place, between 50F – 70F. Foods stored in jars can be used again and again. So, follow these steps, if you want to keep your canned food safe for long-term storage. Art of canning can be risky, deadly, & even turn into a horrible experience if you won’t use the right equipment and proper canning techniques. Therefore, make sure you are opting for only the recommended equipment and following scientific tested guidelines for recipes. If you won’t follow the right steps, you can deal with ‘Botulism’. It causes serious illness caused by a germ – Clostridium Botulinum. Many people aren’t aware of the risk for botulism. This germ is directly linked to the improperly canned foods. It produces toxins in the sealed jars of food. The most dangerous thing about botulism is it requires immediate medical emergency. Since, even a small taste of food containing this germ can cause death. In case you are wondering its seriousness, scientists have estimated that just 1 gram of botulism can kill 1 million people. Your digestive system absorbs it easily. For that reason, it is pertinent to report botulism case to the U.S. government. Dr. William Schaffner, chairman of preventive medicine, believes that botulism has been eliminated completely. The art of canning is 100% safe. But, Center for Disease Control and Prevention (CDC) statistics show that there are still 145 cases a year in the U.S. Therefore, it is pertinent to know whether your food has been contaminated with botulism or not. And, there are a few signs that can assist you in that. Air rushes out of the can. The Lid bulges and moves up & down. Food exploding when opened; just like coke. There is rusting on can. There are dents on the can too. You notice unnatural looking colors. The texture of food has changed. 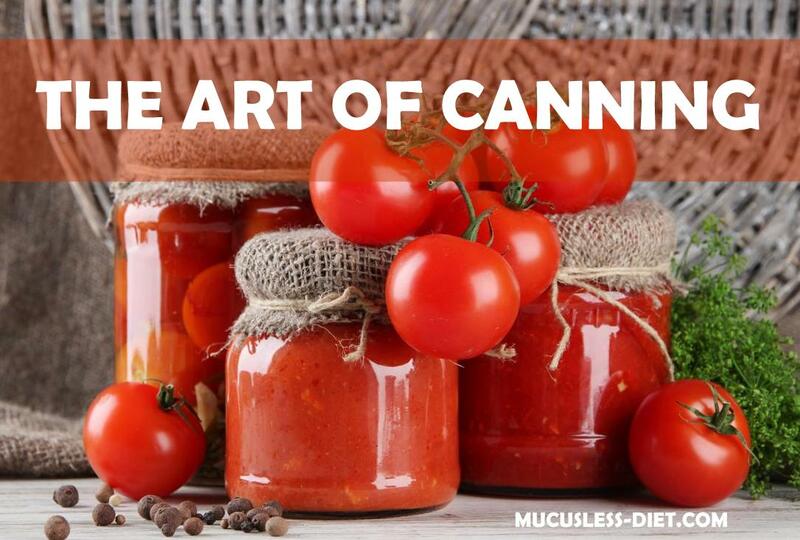 Make sure you are conducting the art of canning properly. In case you find these symptoms in the food after storing them, never throw it in the dustbin. It contains toxins and can affect pets and humans as well. Boil the content in water first for 30, and then discard it. This is the safest way to kill its toxins. The art of canning and preserving of food has a great importance in today’s national economy. Particularly, preppers opt for it to keep food safe for a long-term. There are indeed national movements in the U.S. that are promoting home canning to keep food safe and healthy for difficult times. Their movements are in fact gaining popularity too and people are returning to it. One survey reveals that 1 in 5 U.S. households can its food. So, start canning your food. It’s the best and the most economical way to keep fresh food available year-round.